Six years ago this week, I learned a new word: olecranon, the medical term for what most of us call an elbow. On a wonderfully electric June evening, I was in the zone at my local skatepark – so much so that I got over-zealous and, yes, over-confident. 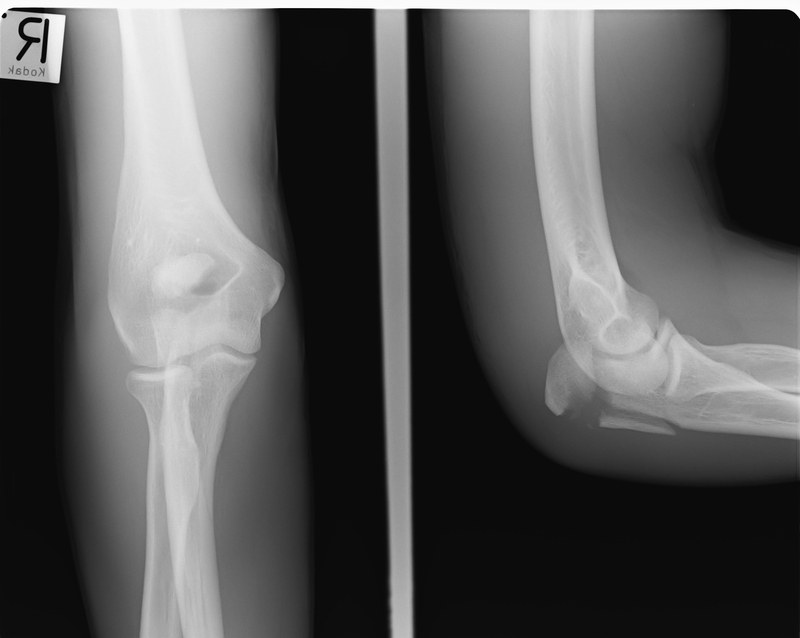 The result: I sped into a 50-50 grind, fell, and shattered my right olecranon (note the gap between my elbow tip and the bone chip). So what does my elbow have to do with our favorite topic, data storage? Well, it turns out that this X-ray and the rest of the data I produced during that glorious summer – which included repeated infections and multiple hospitalizations – were my small contribution to the information deluge in healthcare. Unbeknownst to me at the time, the average individual generates more than one million gigabytes of health-related data – from electronic medical records and images, but increasingly from new connected devices, monitors, sensors and the like. Boy does that make sense to me now. At IBM, we’ve noted how data is growing and moving faster than healthcare organizations can absorb it. We’ve witnessed how distruptors across the healthcare segment spectrum – from insurance to hospitals to research facilities – are building clouds with IBM Spectrum Storage to transform their business, drive efficiencies, and most importantly save lives. Time Warner Navisite: this managed services provider relies on a multi-petabyte XIV Storage deployment (AKA IBM Spectrum Accelerate running as storage appliances), finding value in XIV predictable performance and built-in encryption for HIPAA compliance. Prudential: building a cloud using IBM Spectrum Virtualize and IBM Spectrum Accelerate as appliances, Prudential cut dollars per IOPS by 75%, dollars per GB by 50%, and has zero storage administrators for routine operations. Hutchinson Regional Medical Center: the Kansas-based organization uses IBM Spectrum Protect in a hybrid cloud, enjoying 98.7% backup success and a 45% reduction in storage capacity. A few weeks ago at Edge 2015, Jamie Thomas – General Manager, Storage and Software Defined – discussed just how these companies and others are using IBM Storage – especially the IBM Spectrum Storage family – to build robust clouds that keep them ahead of the competition. A key takeaway from Jamie’s session is that companies are choosing different ways to consume storage – as an appliance (e.g., XIV Storage at Prudential and Timer Warner Navisite), a service on a cloud (e.g., cloud provider customers), and as software (e.g., Hutchinson Medical Center and Prudential). I wrote about the flexibility to deploy “Storage Your Way” when we announced IBM Spectrum Accelerate, and it is proving to be a well-liked attribute of this product family. To sum up: like it or not, we are all contributing to the data tsunami, and IBM is helping companies across the healthcare spectrum tame the torrent of information we are creating. By providing healthcare players an ability to efficiently store, analyze, and use data at the right time, IBM Storage allows physicians to make wise decisions that not only enhance our health and wellness…they can potentially save our lives. Ah…and if you’re wondering…I now wear elbow pads when I skate and hope to keep my health data generation to a minimum for many, many years to come.